Miffy Sitting Corduroy Plush - Snuggle up with this gorgeous, super soft corduroy Miffy plush. Both of my girls are big Miffy fans, and love the books so I know that Miffy would go down a huge hit with the girls. She also comes in seven different colours! 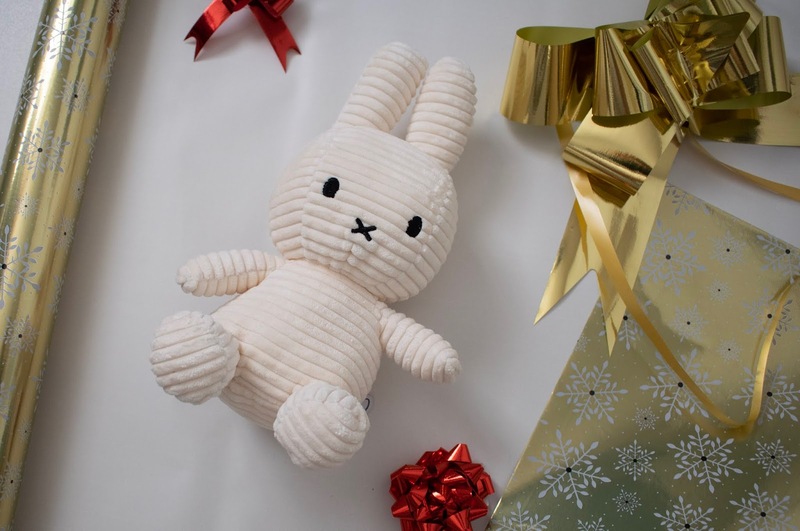 I have actually got a few Miffy books to give alongside the plush. 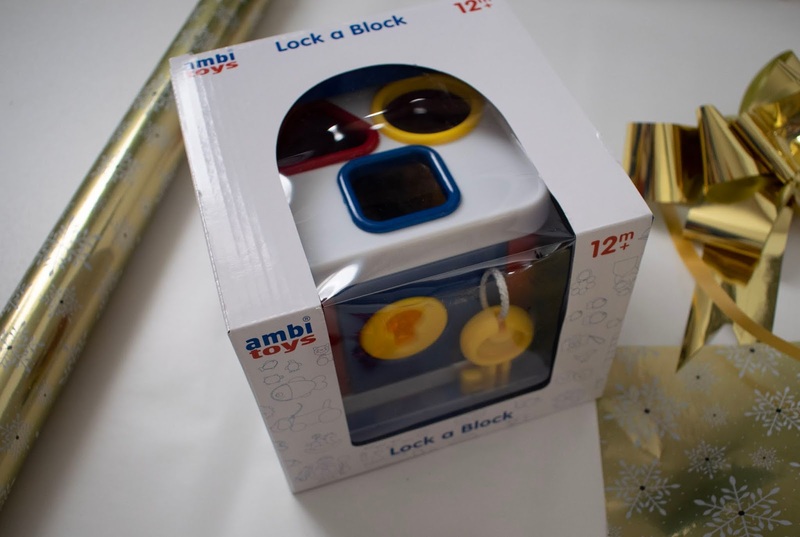 Ambi Toys Lock a Block - This strong lockable box comes with two sets of three-dimensional sorting blocks for hours of shape and colour matching activity fun! I know that Isabelle will get lots of enjoyment out of a toy like this, it's also good for her hand-eye coordination and brilliant for introducing names of various shapes. PlusPlus Big Standard Robots - my girls actually loved playing with these at our local playgroup, so I wanted to make sure I found them a set of their own for Christmas. 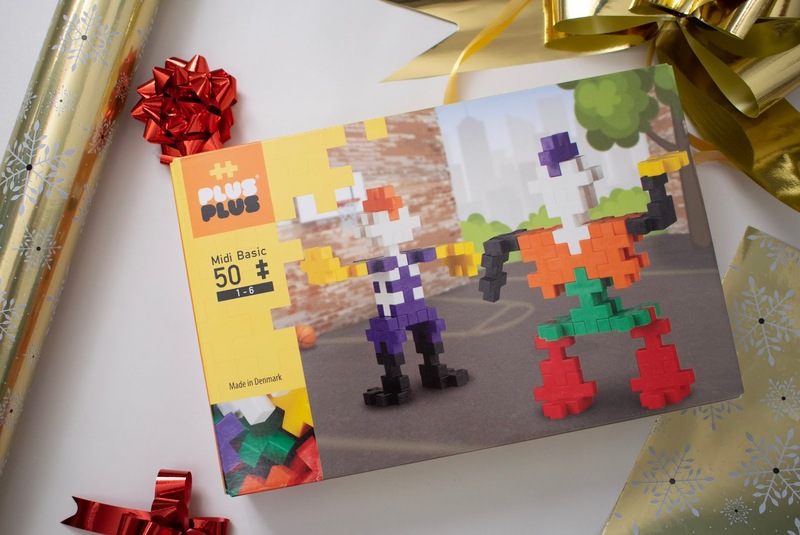 These bigger Plus-Plus pieces are great for smaller hands, you can create robots and display them with pride. This particular set contains 50 construction pieces in red, green, orange, white, black, yellow and purple. Bobux Caramel Shimmer Shoes - When toddlers are so young, I find it hard to find toys that I know they will like, also in our case, Isabelle has a lot of hands me downs from Emily, so she doesn't actually really need anything. I've been looking at new shoes for her and fell in love with these caramel shimmer shoes. I know that she will fall in love with them too when she sees them. Bobux are such a great brand, and the shoes have tough souls, and soft leather material. They also have a gorgeous range of soft shoes suitable for toddlers learning to walk. 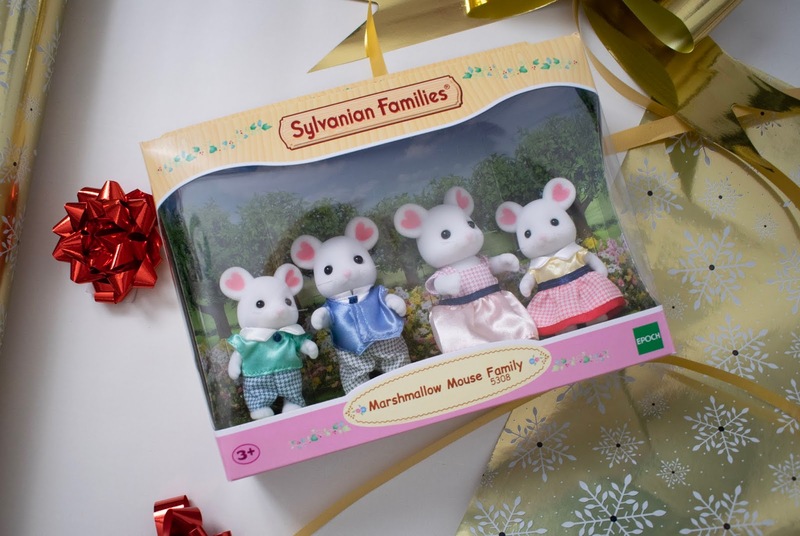 Sylvanian Families Marshmellow Mouse Family - This cute little mouse family comes with the father, mother, girl and boy. The figures can be posed by moving the heads, arms and legs, and they are great for role play. The girls already have quite the collection of various families, and I know that the marshmellow mouse family will be welcomed with lots of love. Cry Babies Chic - Chic is the most gorgeous little cry baby. They have various different types, but I know this one is going to be popular with my girls. 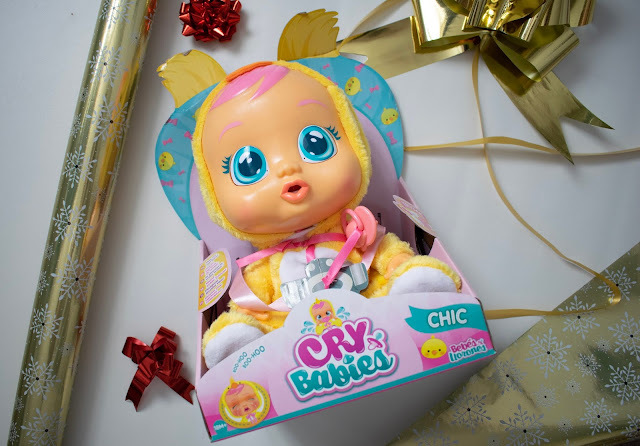 You can give Chic her dummy, and cuddle her to stop her from crying. She cries real water and makes the most realistic baby noises when you take away her dummy. Her limbs are also movable meaning the girls will be able to carry her, lay her down in the baby beds, and take her wherever they go. 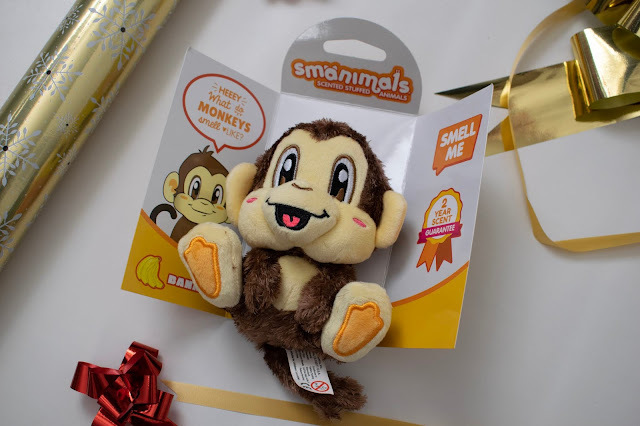 Banana scented monkey backpack buddy - Emily has the bunny version of the Scentco scented backpack buddy and Isabelle is a little jealous of it. Naturally, I wanted to get Isabelle her own little one. The stuffed animal comes attached with a keychain, making it easy to clip on. There are 6 different characters, each with their own unique scent. Best of all, scents are guaranteed to last at least two years! Club Petz Lucy - These Club Petz by IMC toys make the perfect gift for animal obsessed children. 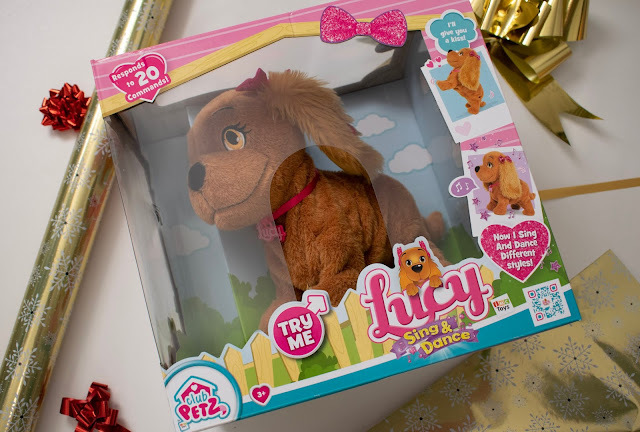 Lucy is the most obedient puppy, she can sing, and dance as well as respond to 20 voice commands. She will do everything you tell her to do, and dances in different styles such as rock'n'roll, salsa and ballet. You can also control lucy through an app on your phone. I know Lucy is going to be really popular with my girls as they would both love a puppy of their own. 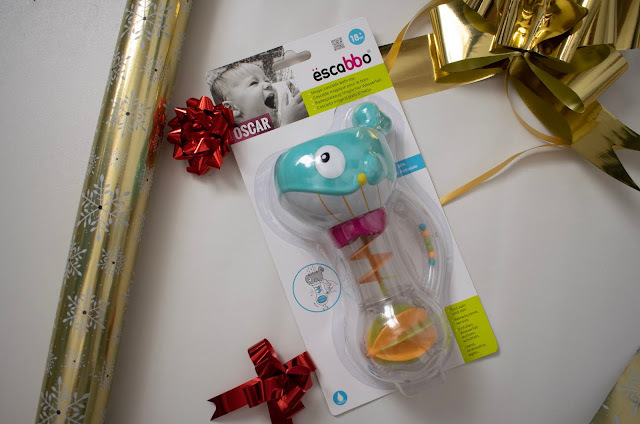 Oscar Whale bath rattle - Bath toys are always a hit in our house, the girls would spend hours in the bath if they had the chance. Oscar the whale loves bath time fun. You can pour water into his head and watch it spin the spiral and turn the wheel. The handle is specially designed for little hands and contains colourful beads. It's suitable for all ages, and I think it will make the perfect gift for Christmas. 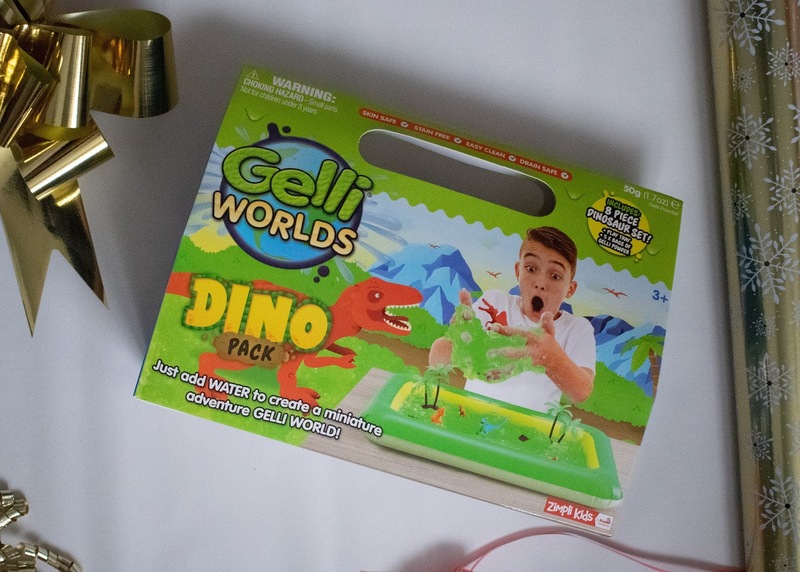 Dinosaur Gelli World - I know that Isabelle will love having her very own Gelli world just like her big sister. it comes with a little inflatable pool and some dinosaur characters. I went for the dino pack for Isabelle as she is a huge fan of dinosaurs - like literally obsessed. You are able to make the Gelli in the inflatable pool, and then use the characters to stomp, and jump, and create your own little role play scene. 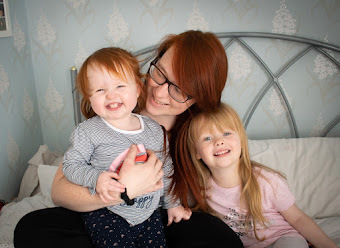 imaginative play is really important in my opinion and something I really encourage with the girls.